A little bit of history Karas Kustoms have been making pens, mostly from metal, since 2011. Their first pens used gel ink but they soon began manufacturing fountain pens and have been going from strength to strength. Although they’ve made some plastic pens they continue to be best known for metal pens with a slightly industrial aesthetic. How it looks This industrial metal design is strong with the Starliner. It’s named after a Ford car and there are suggestions of a tail-light in the cap. It’s quite fifties-looking and, in fact, the Reaktor range, of which the Starliner is a part, is meant as a homage to 1950s America. The slightly larger ‘XL’ pen has a clip of folded metal, fixed in place with Karas Kustoms’ distinctive two bolts. There are four options: black, raw aluminium, silver with a red section, and silver with a blue section. Two of our pens came with smaller nibs but all the production pens will come with a larger #6 sized nib (although using a #5 sized feed). How it feels Both pens are made from aluminium and are light in the hand. The cap being a push-on pull-off affair, there are no threads and so the gently shaped section is easy on the fingers. Neither pen is particularly long and the shorter version is certainly too short to comfortably hold for any length of time. Both versions would benefit from the cap being posted but as the cap posts quite deeply this doesn’t add a significant amount to the length (although one reviewer felt it added just enough). Three of our four reviewers felt the pens were too top-heavy when posted. How it fills The XL comes with a converter and can also use international standard cartridges. The smaller pen will only accept short international standard cartridges. Crucially, how it writes… Karas Kustoms use Bock nibs and, unfortunately, the samples we received were very inconsistent. Some wrote well but some suffered from hard starts and skipping. Pen! What is it good for? Both pens are solidly constructed and will take a bit of a battering. They’re good if you want a pen that you don’t need to worry about protecting or keeping safe from knocks. The push-on cap (held in place with o-rings) means the cap is unlikely to accidentally come off (although one of the prototypes we had did seem to have a problem with coming loose, and most of the pens we were sent suffered from rattles). VFM The Starliner pens are meant to fill a gap in Karas Kustom’s line-up, at $50 for the smaller pen and $55 for the larger pen. Of course by the time they’ve made their way to the UK, shipping and customs charges increase this price significantly. 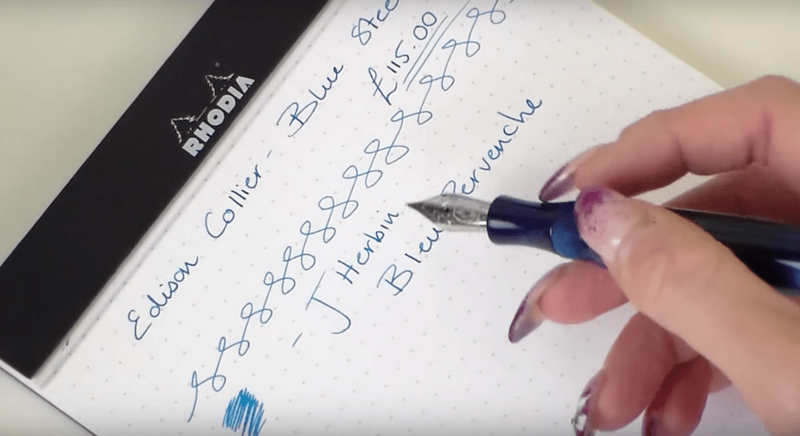 It’s hard to find small-batch metal pens in this price range but… opinion about this pen was sharply divided amongst our reviewers and so it’s hard to state categorically whether this pen provides good value for money or not. If this isn’t quite your cup of tea, but almost… If you’re after a good pocket pen then the evergreen Kaweco Sport is available in plastic for less money or metal for more. 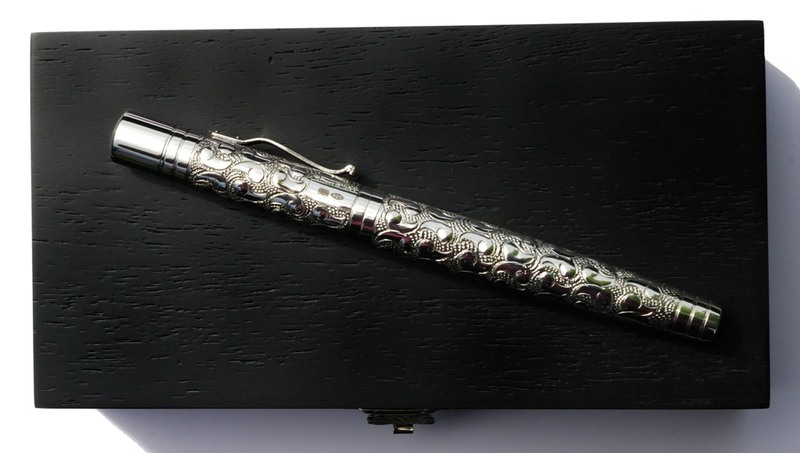 If you’re after a metal pen in Britain then Namisu or Mr.Pen’s offerings are both worth looking at. If you like the design but aren’t keen on the compromises Karas made to keep the price down on the Starliner, then it might be worth considering some of their other pens. Our overall recommendation Four reviewers looked at both the Starliner pens. Two loved them and two hated them with a passion. If you don’t like how it looks then stop reading now! But if you like the looks, and don’t mind a rattly cap (something that may well be less of an issue on the production pens rather than our prototypes), and find short pens comfortable to use, then the Starliner pens are like nothing else at this price point. Where to get hold of one Currently only from Karas Kustoms direct. Thanks to Karas Kustoms for sending us the full Starliner range to review. A little bit of history Karas Kustoms first dipped their toes into the world of pens via Kickstarter back in 2011. That pen was a machined aluminium affair that used the Hi-Tec-C refill. In the following years they branched out into different styles, including fountain pens, but nearly always using metal. The Decograph, therefore, is unusual in being a Karas Kustoms pen made from a different material: thermoplastic, no less. How it looks This particular model is called ‘Sleeping Beauty’, after a kind of turquoise found in Karas Kustoms’ home state of Arizona. 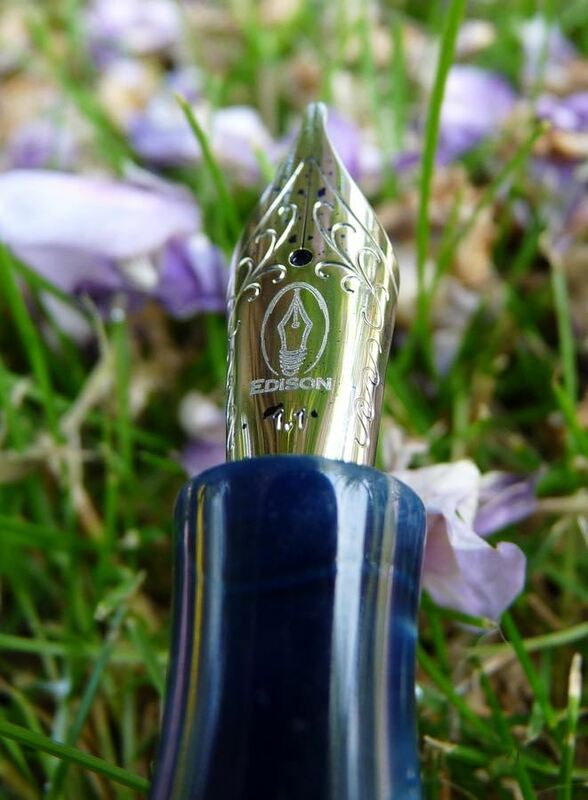 The stone has a reputation for being very beautiful and Karas have done it justice, with a stunning cap and barrel of blue with black swirls. It’s complemented well with metal finials and clip. In short, it’s a stunner. How it feels The Decograph is a light pen but doesn’t feel flimsy. Being so light, balance isn’t an issue whether posted or not. It’s a good length, too. It’s comfortable to hold. How it fills A standard international converter or cartridge. Crucially, how it writes… The Decograph uses a stainless steel #6 Bock nib. The one in our pen was great. It was smooth and had excellent flow. It was a real pleasure to use. Pen! What is it good for? The Decograph is a pen that will make you want to pick it up and write. It’s perhaps a little too jolly for a staid business meeting but it will surely bring out the poet in you. VFM At $165 this isn’t a cheap pen, particularly if buying from the UK, with exchange rates and shipping and the potential for import charges. 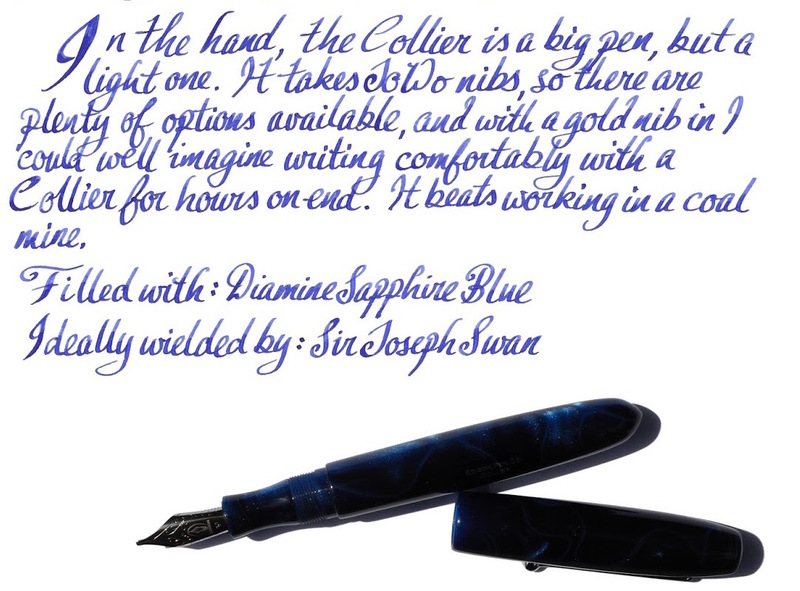 There’s a case to be made for it having a gold nib at this price. However, it’s beautiful, writes well, is made by a company that really cares about what it does, and is a limited edition, too. If this isn’t quite your cup of tea, but almost… If you’re in the UK then, once you’ve taken into account the cost of getting this pen into the country, you’re in the same price bracket as a custom made Twiss pen, with all the interesting barrel options available there. Alternatively, there are dozens of pens at this price or lower that use steel nibs and are made with lovely acrylics, as well as Platinum (in the UK) or Pilot (in the USA) that have gold nibs but (often) less inspiring designs. Our overall recommendation Despite being made from plastic, this is a pen that still manages to be a Karas Kustoms pen. It’s expensive, especially this side of the pond, but it’s well made and lovely. Thanks to Karas Kustoms for sending us this pen to review. A little bit of history The first incarnation of Pelikan began in Germany in 1832, so it’s safe to say they’be been around a while. Over the course of time its gone bankrupt and restarted, and its headquarters have moved to Switzerland, but its pens haven’t changed much at all. Many of Pelikan’s designs are almost unchanged from 1929, the year the company released its first fountain pen, and they’re still made in Germany. How it looks Pelikan is a company famous for making lots of very similar (and beautiful) looking pens but the Stola III is a little different. The clip maintains the pelican-beak motif but is a simple wire loop. The cap and barrel are finished in a silver-grey enamel which is modern looking but rather plain. The section is black plastic. It’s unlikely to set any hearts racing, but Pelikan have done a good job for a low price-point. How it feels The barrel is brass which gives the pen some heft, which went down well with some reviewers but not with others. It’s fairly well-balanced, but rather short. Some of our large-handed reviewers struggled a little with holding it comfortably and, critically, the cap doesn’t post properly (you can kind-of balance it on the end, if you don’t move it too quickly, but it’s tricky). It’s a small pen that insists on staying that way. How it fills Standard international cartridges and some (e.g. Schmidt) converters. Not every converter will fit but this still gives you a lot of choice. Crucially, how it writes… The stainless steel nib is very good for a pen that costs £20. It’s smooth and has a good flow. It’s great… as long as you want a medium nib. Unfortunately, Pelikan have only released the Stola III with one size of nib, which is silly when so many other pens at similar prices are available with a full range of widths. It’s doubly silly when the nib itself writes so well. Pen! What is it good for? The Stola III is a lovely pen for extended writing, if it isn’t too short for you. You can pick a colour to get your thoughts flowing and journal or plan away to your heart’s content. VFM This is very much a case of: if your requirements happen to coincide with what the Stola III offers, it’s a good value pen. If this isn’t quite your cup of tea, but almost… then you have a huge number of options. If you want a small, pocketable pen then the Kaweco Classic Sport is a little cheaper and has lots of nib sizes. The Lamy Safari is easily obtainable, a fantastic pen and also a little cheaper. If you’d prefer a more classic looking pen then the Pilot MR (also known as the Metropolitan) is worth a look, as is the Faber-Castell Basic. Then for funky looking pens you could look at the Pilot Kakuno or the Faber-Castell Loom. Finally, if you’d like an enamelled metal-barrelled pen with a cap that’ll post, the excellent but often overlooked Sheaffer VFM is a good choice. We could go on but you get the idea… this is a crowded price point, which can only be a good thing. Our overall recommendation The Stola III is a pen that writes well, takes a wide range of cartridges, and has a certain aura of quality about it. However, it is very much a one-trick pony. If you like the metallic grey look, enjoy medium nibs, don’t like to post and find short pens comfortable, then it’s definitely worth considering the Stola III. However, with so much choice available, you can almost certainly find a different pen that’s at least as good, for a similar amount of money, that fits your tastes and needs more closely. A couple of years after taking early retirement, in search of something to do, John Twiss splurged out on an ancient lathe and some firewood, spent a week “producing some smaller bits of … round firewood”, came across a video of someone making a pen and decided to give it a go himself. That was five years ago and I think it’s safe to say that John is now the UK’s premier maker of handmade custom pens. John’s based at Sherwood Forest Art and Craft Centre on the edge of that famous and ancient woodland. His studio is full of beautiful pens in every stage of completeness, from blocks of resin, wood or casein to the finished article. He can make pens from almost anything… although he did once turn down a request to create a pen from someone’s brother’s ashes. John doesn’t use any computer-aided machinery, making all his pens by hand on manual lathes. 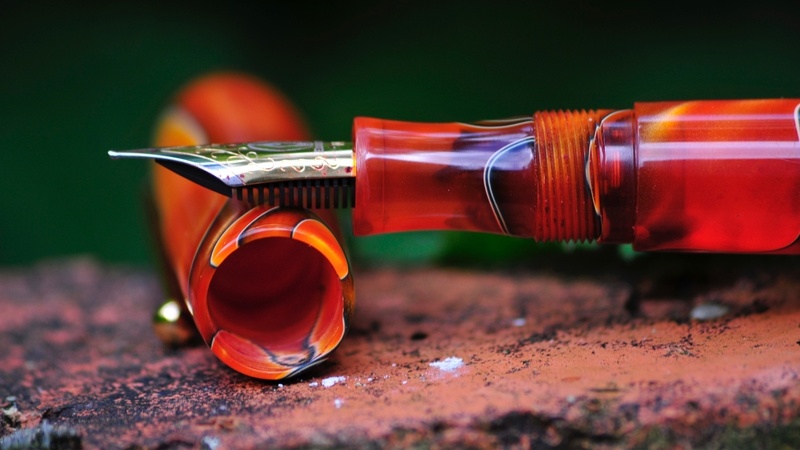 An individual pen can take up to a few days to make. If you’re interested, and in the Nottinghamshire area, you can stop by to see how it’s done. Although many pre-made pens are available through the website you really need to take advantage of John’s ability to make a pen to your exact requirements, using (almost, see above) any material you like, including Irish Bog Oak or custom-cast resin, in any shape, with or with a clip, using a range of nibs . . . well, you can see how this can get addictive. None of this would matter if the finished product wasn’t good but the quality is in fact outstanding. Between us, your United Inkdom correspondents have bought or reviewed upwards of ten Twiss pens and they have all been exceptional. You can follow John on https://twitter.com/twisspens and browse his website here. We will soon be reviewing, and then giving away, a very special handmade Twiss pen, so check back soon for details! A little bit of history Yard-O-Led have been making writing instruments, primarily of the mechanical pencil persuasion, since 1822. Although fountain pens are a relatively recent development, all that experience and craftsmanship counts for a lot. We wrote a profile of Yard-O-Led quite recently. How it looks Oh my goodness this is a fine looking pen. 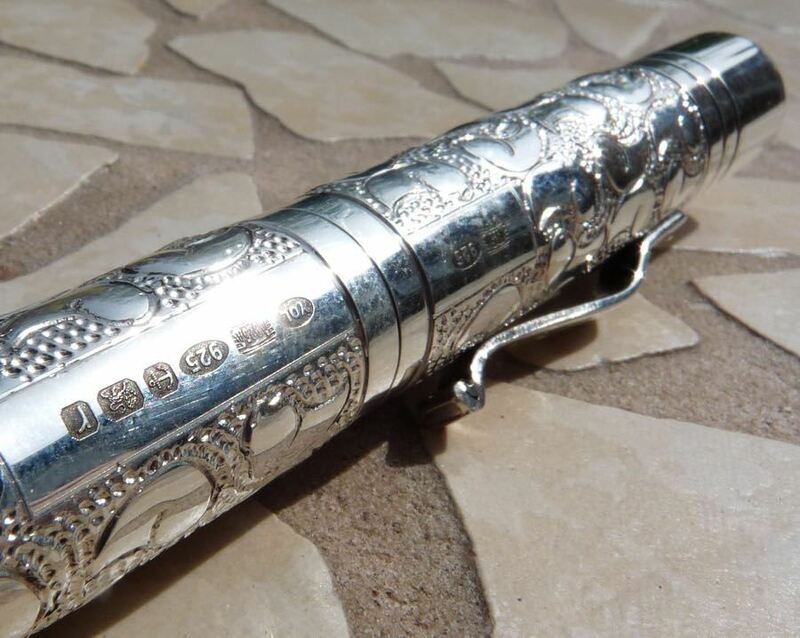 All of the almost 200 years of knowledge has gone into the designing and the crafting of this pen. 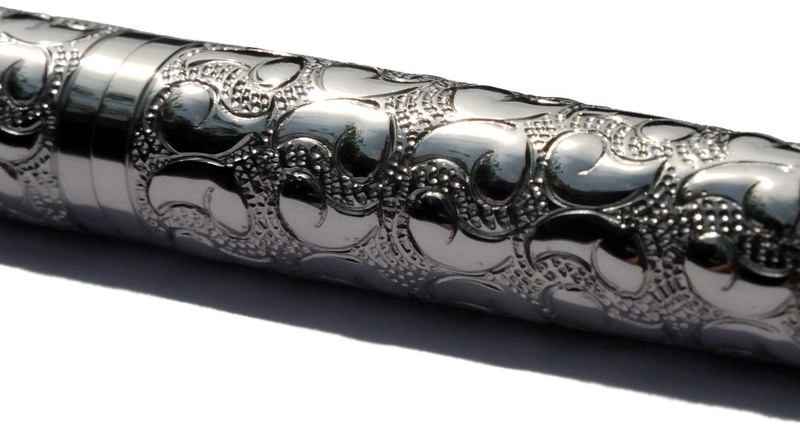 The cap and barrel are made from hallmarked sterling silver and the pattern is painstakingly applied by hand. The effect is one of the utmost quality that celebrates the heritage of the company. This is a pen that looks as if it has been around for a hundred years and feels as if it will be around for a hundred more. How it feels This is not a light pen; it’s made from solid silver after all. However the balance is such that it doesn’t feel too heavy in the hand. Silver is quite a warm metal, too. There’s more than comfort though – when you hold this pen, the size (it’s big) and the weight combine to the overall feeling of quality. The section is metal, of course, which doesn’t suit everyone, but its contour aids grip and reduces the likelihood of slipperiness. How it fills It’s a standard international cartridge/converter affair. The supplied converter isn’t anything special but is perfectly functional. 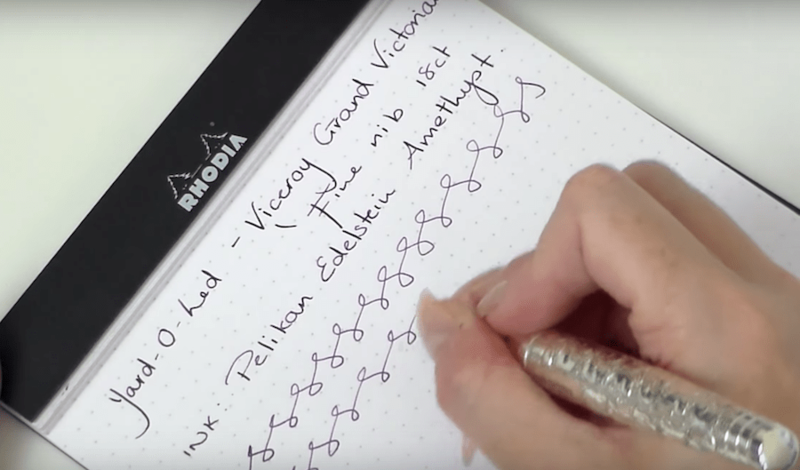 Crucially, how it writes… The rhodium-plated 18k nib is firm and very smooth. Between us we’ve been able to try all three of the available options (fine, medium and broad) and have enjoyed them all. Pen! What is it good for? This is not a pen for throwing in your pocket when you’re off to the beach. It is a pen to keep and cherish and use and pass on to your favourite child to keep and cherish and use and pass on again. It’s a pen to appreciate and admire. VFM This is a very expensive pen. It’s impossible to say definitively whether it offers value for money or not. The important question is: is this pen worth it to you? We all feel the same: we would buy this pen in a moment, if we had the money. If this isn’t quite your cup of tea, but almost… Yard-O-Led make two smaller (the pocket and the standard) pens too, if you love this design but would prefer something less…grand… (and a little more affordable, relatively speaking). 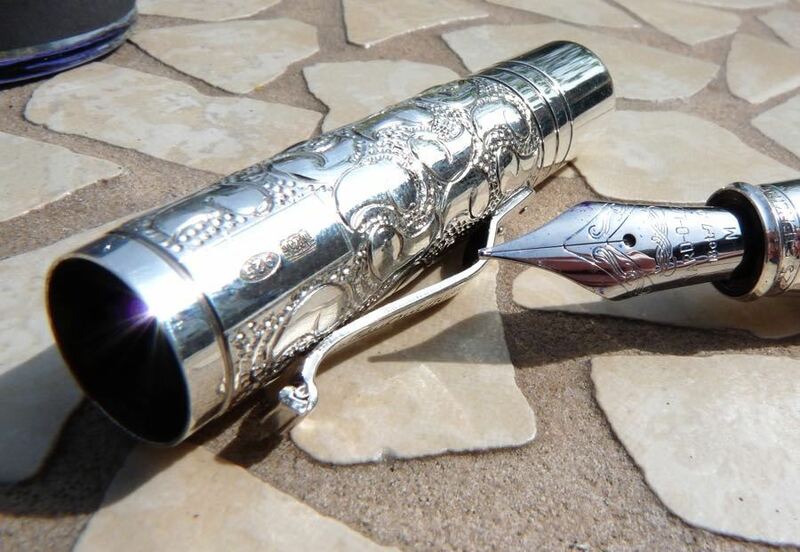 There are also one or two other purveyors of silver fountain pens starting to come onto the market which we hope to explore in coming months. 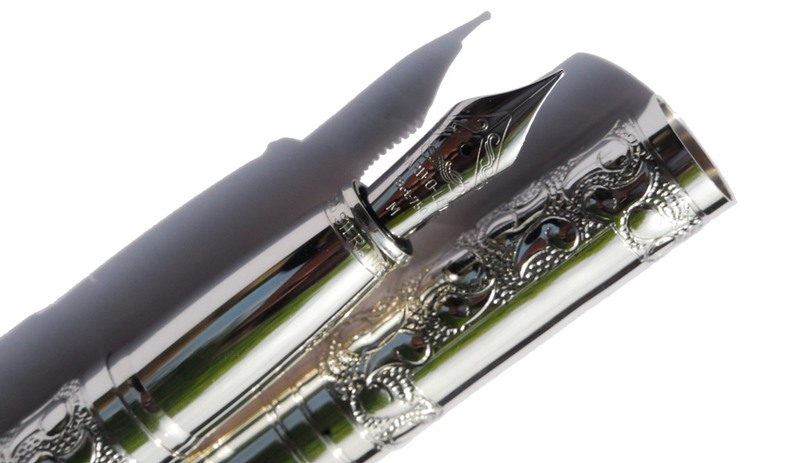 Our overall recommendation This is a gorgeous pen. It’s a work of art which is also wonderful to write with. If you are in the market for a pen to last for generations, this is a pen you should seriously consider. Where to get hold of one From some of your favourite online stockists or direct from Yard-O-Led themselves. Thanks to Yard-O-Led for giving us the opportunity to try out this pen. None of us wanted to send it back, so we’re glad they trusted us! 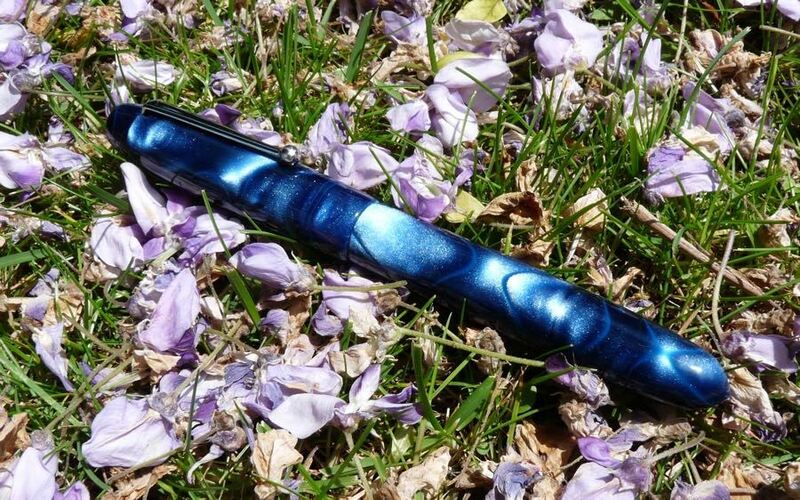 Fountain Pens UK is a Facebook Group for talking about all things fountain pens: stories, photos, retail experiences (good and bad), and anything and everything else penny or inky. It will obviously take a little while to build up a head of steam but please do come along and help get the conversation started. Everyone’s welcome, wherever you are in the world, but the focus will be very much on the UK. Please, also, share the link (facebook.com/groups/fountainpensuk) to the group as much as you can.